In the past, the traditional 4th of July menu consisted of corn on the cob, hamburgers, hot dogs, potato salad, ribs and something chocolate for dessert. BORING. I suppose its best to stick with burgers and dogs for the kids. And you already know Uncle John is going to want to make his world famous ribs. But for everyone else, it's time to add some spice to their life. You may not want to make the switch all at once. Start adding in these untraditional recipes slowly, one by one. You'll find friends and family will not only take a liking to them, but they will start requesting them. Cut broccoli into bite size pieces. Add onions and raisins, place in a mixing bowl refrigerate until ready to use. For the brittle: Mix together brown sugar, honey and cayenne add the cashews and mix until cashews are covered. 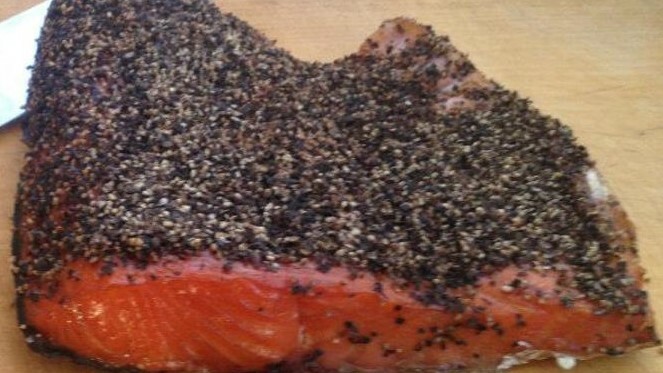 Spread mixture on a greased sheet pan and bake for 4 minutes in a 350 degree oven. Cool then break brittle into pieces. 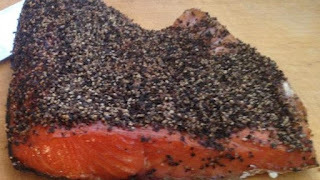 For the dressing: Put dressing ingredients in the blender and process until it is thick. Refrigerate until ready to use. Add cashew brittle and 1 cup dressing to broccoli & raisins and toss. 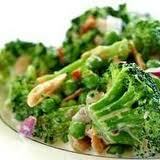 Broccoli crunch hold well in refrigerator up to 5 days, add more dressing prior to each serving. Use the remaining dressing as a vegan chipotle mayonnaise. Prepare Jerk Seasoning by placing ingredients in a food processor or blender. Puree until smooth. Adjust seasoning if necessary. Place chicken breast in a heavy-duty zip lock bag. Pour ¾ of the Jerk Seasoning over chicken and refrigerate overnight. Place remaining sauce in refrigerator until ready to use for basting the chicken. Drain marinated chicken breasts by placing them on a rack over the sink or on a sheet pan. Heat the grill. Once grill is hot, carefully wipe down the rack with oil to prevent chicken from sticking. To wipe down grill; pour oil (canola or peanut) on a clean cloth then wipe down rack with the oil. Place drained chicken on grill and cook for 9 – 10 minutes over medium heat on each side. Baste with reserved Jerk Seasoning on both sides the last 3 minutes of grilling. Remove cooked chicken from grill and allow to rest 10 minutes. Slice and arrange BBQ Jerk chicken on a platter. Divide the meat into 4 ounce portions. Form each portion loosely into a ½ inch-thick burger. Wipe grill rack with oil. 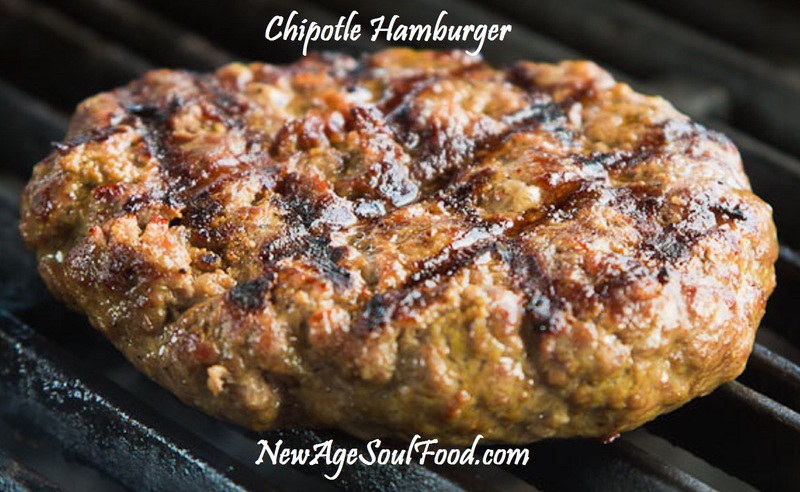 Grill the burgers until golden brown and slightly charred on the first side, about 3 minutes for beef and 5 minutes for turkey. Flip over the burgers. 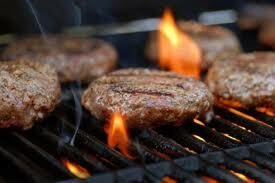 Cook beef burgers until golden brown and slightly charred on the second side, 4 minutes for medium rare or until the desired degree of doneness is reached. Cook turkey burgers until cooked throughout, about 5 minutes on the second side or until burgers are completely done. Drain marinated chicken breasts by placing them on a rack. Place rack over the sink or on a sheet pan. Heat the grill. Once grill is hot, carefully wipe down the grill rack with oil to prevent chicken from sticking. To wipe down grill; pour oil (canola or peanut) on a clean cloth then wipe down rack with the oil. Remove cooked chicken from grill and allow to rest 10 minutes. 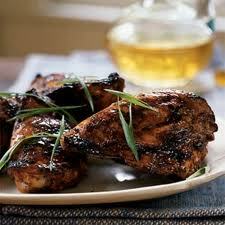 Slice and arrange BBQ Jerk chicken on a platter. When last we met, Mom took most of the foods on that list and created a salad that I just knew was going to be DISGUSTING. We ate it for 3 days straight! The family loved it so much; I had to develop a recipe for it. We were on a quest, to eat only the FOODS THAT KEEP YOU WELL for one full week. Another one of my stupid family challenges. It was a bit harder for me, but not much. I love my oatmeal for breakfast. Normally, I use a little cinnamon and raisins. I made a slight adjustment and used almonds and blueberries instead. I do not like oatmeal because I can't get pass the slime so I just added the raw oats to a smoothie with Mangoes, blueberries and strawberries. Boy was that great and so filling. After a few days I needed some meat. So I added a little salmon to the mix. I was quite surprised at how well salmon went with fruit. Marinate that stuff in some mango juice, create a mango and habanero paste and it's on! As with most vegetable salads, you can always add seafood, beef or chicken, I just would not recommend it with fruit salads. Oh come on mom, you can’t believe the old wives tale that says you can’t mix fruit with other foods. I say that if you can marinate meats in fruit juices, then you can eat fruit with anything. No it goes beyond wives tales; nutritionist and health professionals have mixed feelings about eating certain combinations of foods especially when fruit is involved. There is not a general consensus on the matter but like with everything else, certain combinations of things counteract the benefits of other things. Thank you mommy. Nonetheless, I ate vegetables, fruit and fish all in 1 dish on numerous occasions and I'm still alive to talk about it. So there! Yes you did and you had the gas to prove it. Looks like you lost a few pounds too. Cute mom so cute, I think it's time to just give the recipes now. Place strawberries, vinegar, juice, salt, garlic and pepper in a blender and puree until strawberries are a pulp. Gradually drizzle in oil and continue pureeing until dressing thickens. Dressing can be made a day ahead of time. Wash and cut broccoli into florettes, peel and grate the stalk. In a large bowl, add broccoli, spinach, carrots, black beans and tomatoes. 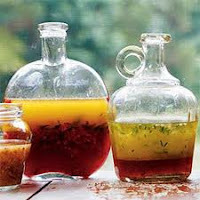 Add ¼ cup of the dressing, mix thoroughly, and let vegetables sit in the refrigerator 3 hours. Place the fruit in a separate bowl and refrigerator until you are ready to serve the salad. Just prior to serving, add the fruit and mix thoroughly. If needed, add more dressing. Add almonds at time of serving. Place all ingredients in a blender and process until smooth 1 – 2 minutes. Serve in a frosted glass or refrigerate until cold. Add ¼ cup of dressing, mix thoroughly, and let vegetables sit in the refrigerator 3 hours. Place all ingredients in a blender and process until smooth 1 – 2 minutes. Serve in a frosted glass or refrigerate until cold. Note: Fruit can be fresh or frozen. Spinach, kale, and mustard greens work as a triple threat, loaded with antioxidants, fiber, and iron. Add flavor to these veggies without losing their nutritional value by steaming them. For a boost of fiber, start your day off with steel-cut oats mixed with raisins and apples. Oatmeal has a low glycemic index, which will help you feel energized all day long and keep hunger at bay. Avoid instant oatmeal -- it's typically loaded with sugar. According to studies, the lycopene in this juicy topical fruit may help prevent macular degeneration, a common cause of vision loss, especially in older people. Mangoes also have high amount of disease-fighting antioxidants, fiber, and potassium. Another fruit that can help keep your eyesight sharp and ward off macular degeneration: kiwis, thanks to their high dose of lutein. They're also packed with vitamin C, fiber, and potassium. You won't find another food with more beta-carotene than carrots. The compound is a form of vitamin A that's full of antioxidant properties and is responsible for the vegetable's bright orange color. Broccoli packs a healthy dose of disease-fighting antioxidants and vitamins A and C. It's also filled with good-for-you nutrients like calcium, potassium, and fiber. Looking for an easy way to relieve stress? Try crunching on unsalted almonds to get some aggression out. The nuts are a good source of vitamin B2 and E, as well as magnesium and zinc. Like vitamin C, vitamin E has been shown to fight the free radicals that can cause heart disease. The ultimate superfood, tomatoes contain lycopene, a proven heart disease fighter, and they're a good source of vitamins A, C, and E.
If you're craving something sweet, skip the cookies and grab a handful of strawberries or raspberries instead. (In winter, frozen berries make a tasty and equally healthy alternative.) These nutrient-rich fruits are loaded with fiber and vitamin C.
Apples have a low glycemic index, which can help curb hunger, and they're packed with vitamin C. They're also an excellent source of soluble fiber, which can lower your cholesterol and glucose levels. Avocados contain vitamin E, which can help keep your eyesight sharp. The monounsaturated fat in avocados has also been shown to improve the overall health of your hair and skin. These green veggies are an ample source of fiber. Stay away from canned peas, which are loaded with sodium. Beans are an ideal source of protein, fiber, magnesium, zinc, calcium, and iron. They're also high in folic acid, which can significantly reduce the risk of birth defects. Consume dried beans instead of the canned varieties, which often contain high amounts of sodium and fat. Feeling a bit forgetful? Try adding blueberries to your diet: Studies show that this fruit may help combat short-term memory loss -- plus, it's full of disease-fighting antioxidants. Note from Mom: I took the easy route and with the exception of the oats, peas and beans, I tossed everything together and topped it off with a Balsamic vinaigrette dressing. Boy was it heavenly! Yeah, she made so much we ate it for 3 days, but I'm not complaining, it was really good and filling. I preferred the Asian Style vinaigrette on mine and I also added black beans.